Depending on the main dish we are going to prepare we can choose one or other ingredients for our salads since there will be some that combine better according to the main course. Did you know that for every main dish there is always the perfect salad? Many people make combinations that detonate the flavors of different dishes. So that this does not happen to you, the best thing you can do is to know which salads go better according to the type of main course. This time we will help you with this matter, and it will even seem easy to you. In addition, we present you the recipes to prepare each type of salad. Do not waste any more time and discover the best salads appetizers to surprise everyone when preparing your meals or in meetings. And in turn, you get a little more knowledge about the world of gastronomy. Which salad is better according to the main course? There are salads that perfectly combine with red meats, and this is one of them. In fact, it can be prepared on a family Sunday accompanied by grilled meat and get an ideal combination. 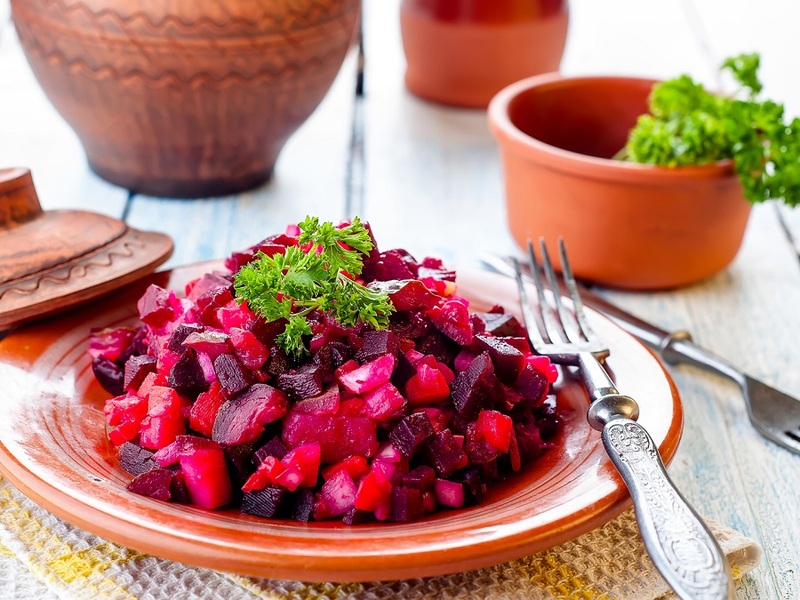 The first thing you should do is wash and cut the beets into long Reserve them in a bowl. Then, peel and cut the avocado into cubes and add them to the bowl with the beet. Next, cut the onion into julienne strips and the parsley into very small pieces and add them to the bowl. Then pour the lemon juice, and spread the plums and salt evenly. Finally, it serves in bowls as an entree or together with grilled meat. This is another entree to bring freshness to your grill or stews. And best of all, you will use a few ingredients in your preparation. Give yourself a taste and learn to prepare this salad. If you want to surprise your family, you can make a salad pizza, you know that how to make? First, put lettuce leaves in water and vinegar to eliminate bacteria and Then, drain and reserve them in a bowl. 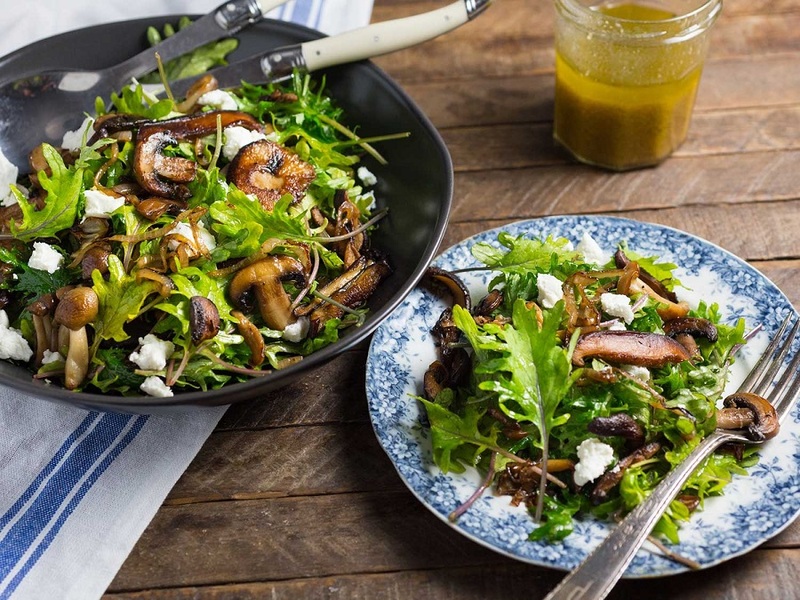 Next, cut the mushrooms and cherry tomatoes into slices and add them to the bowl with the lettuce. Next, spread the almonds and olive oil over the salad. Mix well so that the ingredients are integrated. Finally, add the salt and mix again. Serve and enjoy with your main course. The Russian salad is perfect to accompany a chicken-based main course. 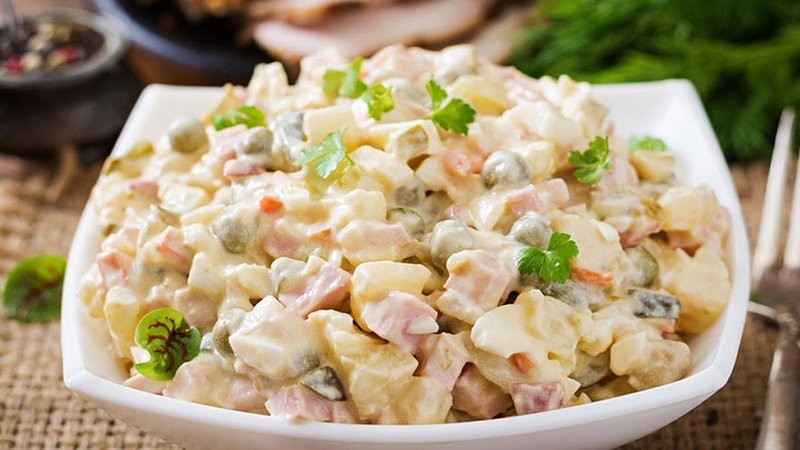 It is also known as Olivier salad and is characterized by the cooked preparation of certain foods such as potatoes, amalgamated with mayonnaise. To start, peel the potatoes and carrots, and place them to boil in a medium pot over high heat. When they are soft, remove from the heat, let them cool and then cut them into medium dice and place them in a bowl. Reservation. Next, place the eggs to boil, and once ready, cut them into slices and add them to the bowl with the vegetables. Finally, pour the tablespoons of mayonnaise and salt, and mix well so that the flavors are integrated. Serve and enjoy. For those fish lovers who have no idea which salad is best for their main course, this is their best option. A simple entry but full of flavor. First, place the cabbage in a pot with water and vinegar to eliminate bacteria and microbes that may contain. Then, sprinkle it in a bowl, using the cheese grater. Next, stir the cabbage and carrot. Then, pour the mayonnaise cup along with the mustard vinaigrette and stir. Finally, add salt, sugar, parsley, and Mix again and serve. 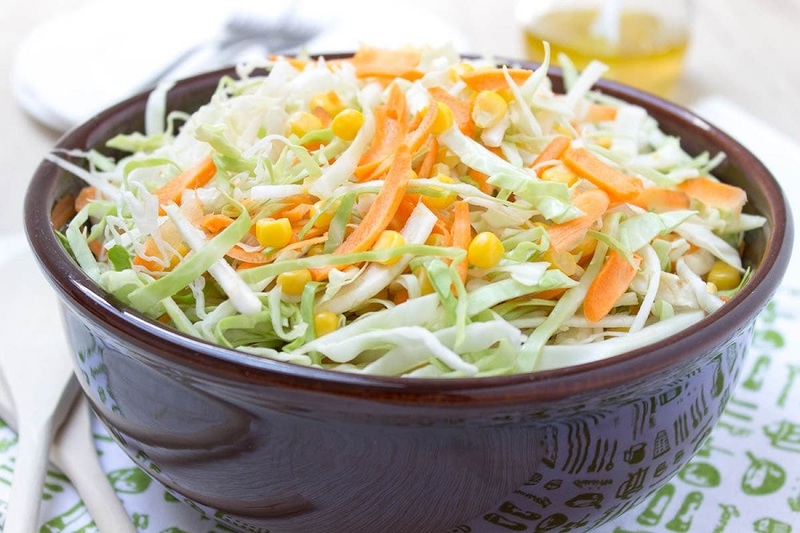 From now on you already know which salad you can accompany each of your dishes with. To eat! If you like this recipe, please share with your friends and family, and don’t forget to share in your social networks platforms.